If you've got a skill, and a bit of time on your hands, then getting a stall at your local market can be a great way to earn some extra cash. Unfortunately you usually can't just turn up on the day and expect to make a fortune, but if you're serious about giving it a go, here are some ways you can get started. Time: Hours, Days, Weeks, or Months. First step is to decide what you want to sell. If you're a whiz in the kitchen you might want to start up a cake stall, or perhaps you specialise in jewellery or some other craft. 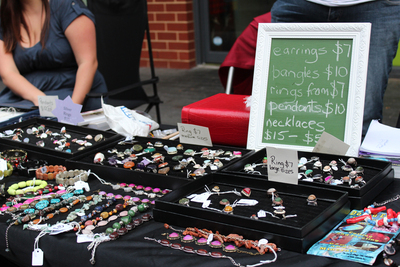 Chances are, if you're planning on starting a market stall you already know what you want to sell. Do your research. Find out what markets are running in your local area, or if you can travel take a look further afield. 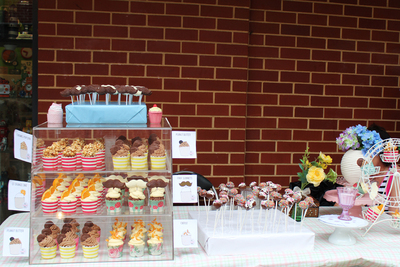 Take note of the stalls that are already at the market, if there are 5 cupcake sellers there on a regular basis then your cupcakes aren't likely to sell too well. 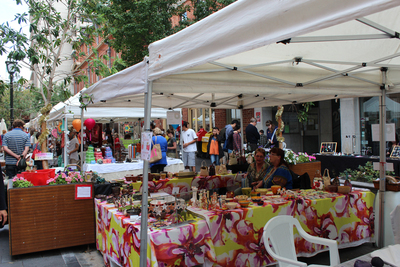 Talk to market organisers and find out things like stall prices, what they provide, and what you'll need to bring. Find the best markets to suit your products and you. Sort out the Legalities. This is very important if you plan on selling food. Most local councils have regulations for who can sell food, and how they sell it, and you're bound by the same rules even if it's just a hobby. Give them a call and find out what you'll need to get started. Another important thing to consider for any stall is insurance. Some markets require you have your own insurance, and some companies even offer special market insurance options. Create a brand. This is your way to stand out from all of the other market stalls, and it's how people will remember you. Come up with a name, and maybe even a rough logo. Once you've got it finalised make some business cards too. Plan your stall. You'll need a lot more than just your products, and you'll want to plan this all in advance. Some markets require you bring your own tables, and at some others you might need a marquee. Every stall will be different, so create a list with everything that 'you' will need. Work out your prices and costs. If you get started without preparing, it can be hard to get yourself back on track once market season is in full swing. First work out your costs, take into account the price you're paying for your market stall as well as any ingredients or materials. Start pricing your products from there, even if you don't make a lot, make sure you're not losing money from day one. Book yourself in. Once you're organised you need to actually get involved with a market. You may not be able to get into every market that you'd like, but there's never any harm in giving it a go. Just contact the market organiser, and go from there. Serve your customers with a smile. Working at a market stall is a little different than working in a store, especially when you are your own boss. It's still important to put on the charm, and greet your customers with a smile. 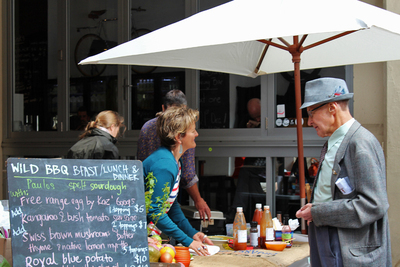 Markets aren't the place for the hard sell, and you'll likely have fun chatting to people even if they aren't buying. Market stalls can go from a part-time hobby to a full time business, so if you want to give your stall the potential to go further make sure you're organised from the start. 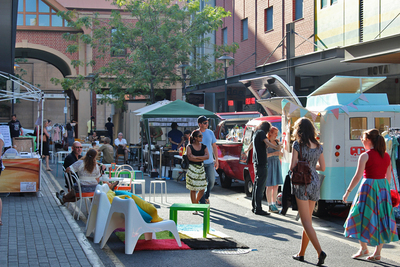 Let us know if you've had any market success stories, and why not upload an image of your stall?